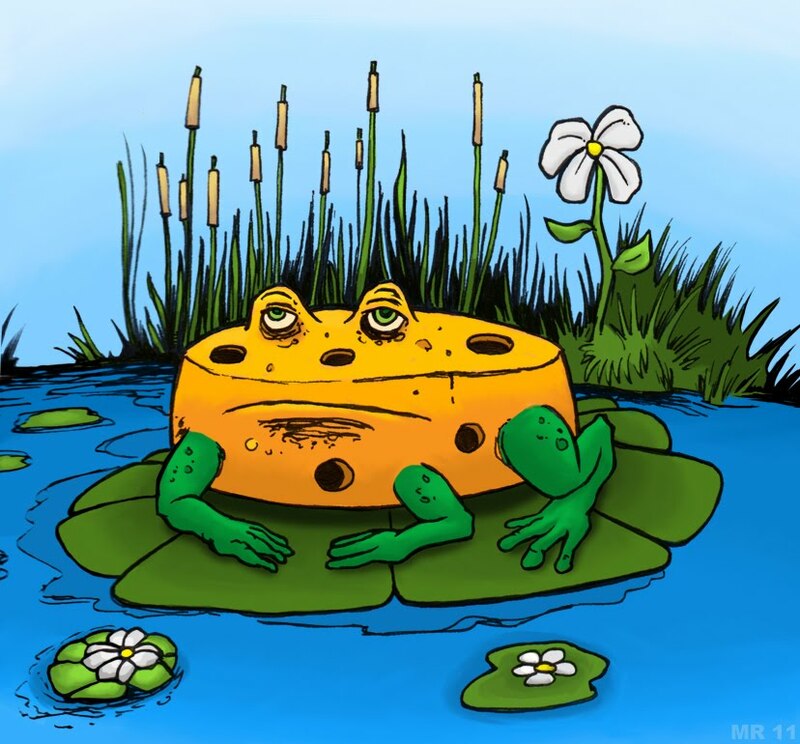 Massive African bullfrogs who through some freak accident of nature became fused on the molecular level with large blocks of cheddar cheese. Cheese frogs must stay wet, else they risk drying out, or worse - spoiling. bet they primarily live in Wisconsin.